Genealogy (from Greek: γενεά genea, "generation"; and λόγος logos, "knowledge"), also known as family history, is the study of families and the tracing of their lineages and history. Genealogists use oral interviews, historical records, genetic analysis, and other records to obtain information about a family and to demonstrate kinship and pedigrees of its members. The results are often displayed in charts or written as narratives. In societies such as Australia or the United States, there was by the 20th-century growing pride in the pioneers and nation-builders. Establishing descent from these was, and is, important to such groups as the Daughters of the American Revolution. In Nazi Germany, family histories were compiled to affirm individuals' affiliation with the "master race" and to adhere to legal requirements for marriage. In Germany today, family history is still often perceived as a threat to privacy rather than as a source of self-esteem. Most 20th-century sources remain unavailable to the public on privacy grounds. Funding of support for family history at archives is limited. German family historians thus tend to emphasize instead how family history can contribute to learning and science. The Genealogical Society of Utah, founded in 1894, later became the Family History Department of the Church of Jesus Christ of Latter-day Saints (LDS). The department's research facility, the Family History Library, which has developed the most extensive genealogical record-gathering program in the world, was established to assist in tracing family lineages for special religious ceremonies which LDS adherents believe will seal family units together for eternity. LDS members believe that this fulfilled a biblical prophecy stating that the prophet Elijah would return to "turn the heart of the fathers to the children, and the heart of the children to their fathers." There is a network of LDS Family HIstory Centers all over the country and around the world, where volunteers assist the public with tracing their ancestors. There is a proposal to implement and launch a Wikimedia project for genealogy and open pedigrees. The Family History Library, operated by the LDS Church, is the world's largest library dedicated to genealogical research. 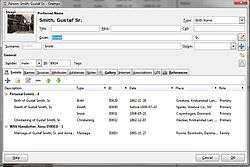 The Church of Jesus Christ of Latter-day Saints (LDS Church) has engaged in large-scale microfilming of records of genealogical value. Its Family History Library in Salt Lake City, Utah, houses over 2 million microfiche and microfilms of genealogically relevant material, which are also available for on-site research at over 4500 Family History Centers worldwide. ↑ Ronald Bishop, "In the Grand Scheme of Things: An Exploration of the Meaning of Genealogical Research," Journal Of Popular Culture 2008 41(3): 393–412. ↑ "Teacher's guide for PBS Ancestors series". BYU. Retrieved 2006-09-05. 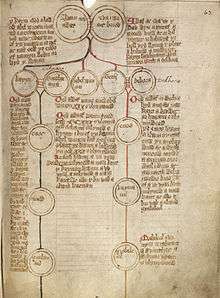 ↑ "Genealogy or Family History? What's the Difference?". Society of Genealogists. 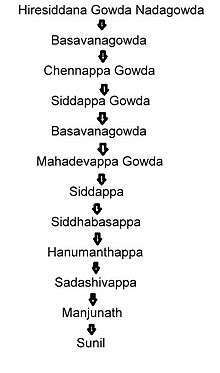 Retrieved 10 Aug 2013. ↑ "FGS member societies". Federation of Genealogical Societies. Retrieved 11 Jun 2014. ↑ "New Confucius Genealogy out next year". China Internet Information Center. 2008. Retrieved 2008-11-01. ↑ "Updated Confucius family tree has two million members". Xinhua News Agency. February 16, 2008. Retrieved 2008-11-01. ↑ Elizabeth Shown Mills, "Genealogy in the 'Information Age': History's New Frontier?" National Genealogical Society Quarterly 91 (December 2003): 260–77. 1 2 François Weil, Family Trees: A History of Genealogy in America (Cambridge, Mass. : Harvard University Press, 2013), Chapter 1. ↑ François Weil, "John Farmer and the Making of American Genealogy," New England Quarterly 2007 80(3): 408–434. ↑ "Family History Library". Retrieved 11 Jun 2014. ↑ Introduction to LDS Family History Centers Accessed 18 Feb 2015. ↑ Board for Certification of Genealogists, The BCG Genealogical Standards Manual (Provo, Utah: Ancestry, 2000); National Genealogical Society, American Genealogy (Arlington, Virginia: 2005); Val D. Greenwood, The Researcher's Guide to American Genealogy, 3d ed. (Baltimore: Genealogical Publishing Co., 2000)"
↑ Elizabeth Shown Mills, Evidence Explained: Citing History Sources from Artifacts to Cyberspace, (Baltimore: Genealogical Publishing Co., 2007). ↑ Peter Wayner, (2004-04-22). "From Shared Resources, Your Personal History". The New York Times. Retrieved 2009-01-14. ↑ Carolyn Brown Heinz,. "Fieldnotes: First lesson of the Genealogist". Department of Anthropology, California State University, Chico. Retrieved 2008-01-29. ↑ Donald Harman Akenson, Some Family: The Mormons and How Humanity Keeps Track of Itself Montreal: McGill-Queen's University Press, 2007; Johni Cerny and Wendy Elliott, The Library: A Guide to the LDS Family History Library. Salt Lake City: Ancestry Pub., 1988. ↑ "Thanks A Billion," FamilySearch Press Release. Retrieved 4-22-2013; "News and Press: Official FamilySearch.org News and Press Releases," FamilySearch. Retrieved 2013-5-26. ↑ "FamilySearch Family History Books Reaches a New Milestone," FamilySearch, 5 August 2013. Retrieved 2013-8-5. ↑ "FamilySearch African American Genealogy Records". FamilySearch. February 3, 2015. Retrieved May 9, 2016. ↑ "Research Wiki," FamilySearch. Retrieved 2013-5-26; FamilySearch Wiki contributors, "Research Outlines," FamilySearch Wiki. Retrieved 2013-5-26. ↑ "Mormon church's storied Granite Mountain vault opened for virtual tour". Deseret News. April 29, 2010. ↑ "Granite Mountain Records Vault". The Church of Jesus Christ of Latter-day Saints. March 14, 2014. ↑ "United States Census 1940". FamilySearch. December 25, 2012. ↑ "Family History Volunteers Reach Billion-Record Milestone". The Church of JESUS CHRIST of LATTER-DAY SAINTS. April 22, 2013. ↑ Mark D. Herber, Ancestral Trails: The Complete Guide to British Genealogy and Family History 2nd ed. Baltimore: Genealogical Publishing Company, 2006; David Hey, Family History and Local History in England. London: Longman, 1987; Sherry Irvine, Scottish Ancestry: Research Methods for Family Historians, 2nd ed. Provo, UT: Ancestry, 2003; David Moody, Scottish Family History. Baltimore: Genealogical Pub. Co., 1990. ↑ Trafford R. Cole, Italian Genealogical Records: How to Use Italian Civil, Ecclesiastical & Other Records in Family History Research Salt Lake City, Utah: Ancestry, 1995; Cruise, M. T. W., Guidelines For Ancestry Research With an Emphasis on African-American Genealogy Dublin, VA: Author, 2007; Jessie Carney Smith, Ethnic Genealogy: A Research Guide, Westport, CT: Greenwood Press, 1983. ↑ G. J. 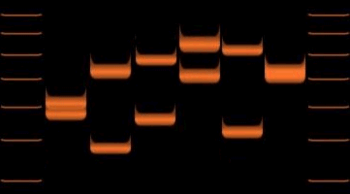 A. Guth, "Surname Spellings and Computerised Record Linkage," Historical Methods Newsletter, vol. 10, no. 1, pp. 10–19, 1976. ↑ Lorine McGinnis Schulze,. "Dutch Patronymics of the 1600s". Olive Tree Genealogy. Retrieved 2008-01-29. ↑ Surnames made their way into the language in the 19th and 20th century, but are not widely used. In order to protect the patronymics system, in Iceland it is forbidden by law to introduce a new surname. "Lög um Mannanöfn" (in Icelandic). Retrieved 2008-01-29. ↑ An earlier law was in effect in 1828, but was largely ignored in the rural areas. ↑ "Lov av 9. februar 1923 nr. 2 om personnavn (Norwegian Name Law of 1923)" (in Norwegian). Archived from the original on 2007-06-10. Retrieved 2008-01-29. 1 2 Peter R. Knights, "The Accuracy of Age Reporting in the Manuscript Federal Census of 1850 and 1860," Historical Methods Newsletter, 4 (1971), 79–83; Karen Oppenheim Mason and Lisa G. Cope, "Sources of Age and Date-of-Birth Misreporting in the 1900 U.S. Census," Demography vol. 24, no. 4 (Nov., 1987), pp. 563–573. ↑ "Calendar Converter". Fourmilab.ch. Retrieved 2013-03-26. ↑ Robert M. Hauser, "Occupational Status in the Nineteenth and Twentieth Centuries", Historical Methods (1982) vol. 15, no. 3, 111–126. ↑ Richard H. Steckel, "The Quality of Census Data for Historical Inquiry: A Research Agenda," Social Science History, vol. 15, no. 4 (Winter, 1991), pp. 579–599. Herber, Mark D. Ancestral Trails: The Complete Guide to British Genealogy and Family History. 2nd ed. Baltimore, MD: Genealogical Publishing Co., 2004. Hey, David. The Oxford Companion to Family and Local History. 2nd ed. Oxford: Oxford University Press, 2008. Malka, Jeffrey S. Sephardic Genealogy: Discovering Your Sephardic Ancestors and Their World. 2nd ed. Bergenfield, NJ: Avotaynu, 2009. Merriman, Brenda Dougall. 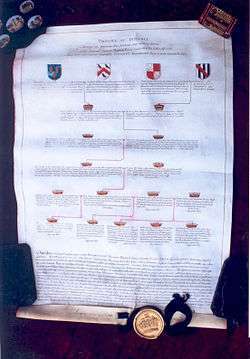 Genealogical Standards of Evidence: A Guide for Family Historians. 2nd ed. Toronto: Ontario Genealogical Society, 2010. Morgan, George G. How to Do Everything: Genealogy. New York: McGraw-Hill, 2009. Riemer, Shirley J. & Roger Minert. The German Research Companion. 3rd ed. Sacramento, CA: Lorelei Press, 2010. Ryan, James G. Irish Records: Sources for Family and Local History. Salt Lake City, UT: Ancestry, 1997. Szucs, Loretto Dennis, & Luebking, Sandra Hargreaves. The Source: A Guidebook of American Genealogy. 3rd rev. ed. Provo, UT: Ancestry, 2006. Taylor, Robert M., and Ralph S. Crandall. Generations and Change: Genealogical Perspectives in Social History. Mercer University Press, 1986. Weil, François. 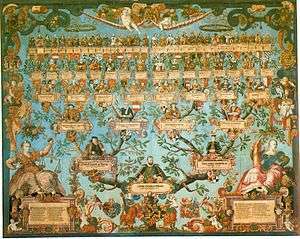 Family Trees: A History of Genealogy in America. Cambridge, Mass. : Harvard University Press, 2013. Yan, May. Research Guide to Chinese Genealogy: 2nd edition. Global Research And Archival Management, 2010.